There are additional way to raise funds for Bancroft that involve extremely little effort and no additional money out of your pocket. Please look through this list and see if you might be able to contribute to some of these efforts. Feel free to pass on this information to family and friends. The more people who participate, the more funds we will raise. When you pay with Benefit you are paying with a purpose! Benefit is a free iPhone or Android phone app that can be used to pay for your everyday purchases from 100s of America’s leading national brands like Starbucks, Target, Walmart and Amazon. Purchase digital gift cards and instantly redeem them online or in-store, or give the perfect gift to a friend or family member. Up to 20% of each transaction will go to support Bancroft Elementary School allowing you to give without spending a dime beyond your everyday spending! Download the app and select "Bancroft Faculty Club" as your beneficiary to start giving. Find more information in the app or at www.benefit-mobile.com. AmazonSmile is a simple and automatic way for you to support your favorite charitable organization every time you shop, at no cost to you. When you shop at smile.amazon.com, you’ll find the exact same low prices, vast selection and convenient shopping experience as Amazon.com, with the added bonus that Amazon will donate a portion of the purchase price to the Bancroft PFC. To shop at AmazonSmile simply go to smile.amazon.com and choose "Bancroft Elmentary School PFC" as your beneficiary. You use the same account on Amazon.com and AmazonSmile. Your shopping cart, Wish List, wedding or baby registry, and other account settings are also the same. We will remember your selection, and then every eligible purchase you make at smile.amazon.com will result in a donation. ​Don't throw away those Box Tops and much needed $$ for our school! 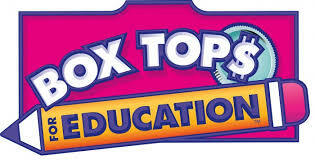 EVERY participating box top that you turn in earns cash for Bancroft. Turn your shopping trips into easy money for Bancroft and encourage your family and friends to do the same! Just look for the Box Tops logo on hundreds of General Mills products like Cheerios® and Kleenex®, in almost every aisle of the store. Keep an eye out for the pink rectangle Box Tops for Education logo on participating products. All you need to do is clip and turn them in to the school office. Each one is worth 10¢ and that adds up fast! ​If every student collected 1 sheet per month, the school could recieve over $9,000! ​For any questions, please contact the Bancroft Elementary Box Top Coordinator - Alyson Ogden. ​On your next visit to Sports Basement - become a Basementeer! Select Bancroft Elementary as your beneficiary and recieve 10% off every item, everytime you shop and Sports Basement will give 10% of profits to the Bancroft PFC.